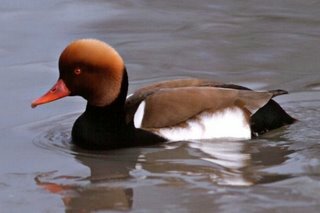 Ah - the rediscovered Madagascar Pochard. It does not really surprise me. Madagascar simply isn't at all well explored yet. I've stood on a blacktop road hearing a bird that hadn't been described yet(Cryptic Warbler). And you can actually see two species that weren't discoveried until the seventies from the main Antananarivo-Tuléara road (Benson's Rock Thrush and Appert's Greenbul). Don't know who Glyn is but if he found the MIA pochard, I tip my hat. I'll be interested to see if a captive population is attempted as with some of the other malagasy ducks. Glyn Young I presume, an expert on Madagascan wildfowl. BirdLife had some news on this on the 20 and I sort of expected Darren would blog about it. Your presentation of the ducks as the perverts of the avian world is awsome. Do you have a reference for the necrophilia bit? All will be revealed. And, yes, you were right about Glyn Young. 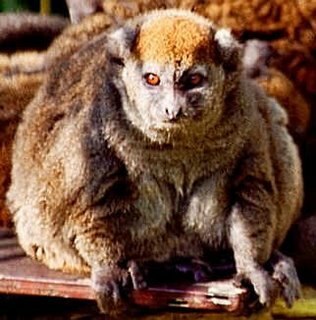 He's in Madagascar right now. And oh yes, anatids are perverted creatures. Wasn't Malacorhynchus in Tadorninae, rather then in Anatinae? Thanks for your comment Brian. Malacorhynchus has indeed been regarded as a tadornine on occasion; however, the evidence that (together with Salvadori's duck Salvadorina waiguensis) it belongs to a clade at the base of Anatinae is better supported, and indeed is the more traditional view. In Livezey's (1996) review of the tadornine-anatine divergence, 12 of the 13 studies he cited regarded Malacorhynchus as an anatine: the only one that supported its inclusion within Tadorninae was Livezey (1986)! For the record, in his later studies he concluded that Malacorhynchus is an anatine after all. While Malacorhynchus and Salvadorina share many plumage characters which indicate that they are close relatives, the character support tying them to anatines rather than tadornines is not tremendously strong. They do exhibit the anatine type of sternal keel though. Livezey, B. C. 1986. A phylogenetic analysis of Recent anseriform genera using morphological characters. Auk 103, 737-754. - . 1996. A phylogenetic reassessment of the Tadorninae-Anatinae divergence (Aves: Anseriformes: Anatidae). Annals of Carnegie Museum 65, 27-88. I am not surprised by the re discovery of this duck . The problem was DURRELL believed that it was impossible ? to find this DUCK OUTSIDE ITS NORMAL RANGE thus showing a rather poor knowledge of ducks . G. Young is a specialist on ANAS BERNIERI and nothing else . 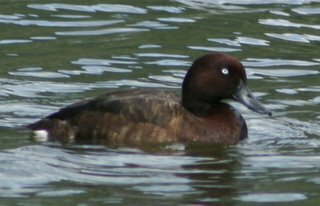 AYTHYA INNOTATA = a pair and two ducklings were observed a month ago in another undisclosed location and again in the NORTH ! Green, A. J., Young, H. G., Rabarisoa, R. G. M., Ravonjiarisoa, P. & Andrianarimisa, A. 1994. The dry season diurnal behaviour of the Madagascar teal Anas bernieri at Lake Bemamba. Wildfowl 45, 124-133. Lohan, C. & Young, H. G. 2004. Sexual dimorphism and individual variation in the bill markings of Meller’s duck, Anas melleri. Ostrich 75, 176-177. Young, H. G. 1991. Sexual dimorphism in Meller’s duck Anas melleri. Bulletin of the British Ornithologists’ Club 111, 225-228. - . 1995. Territoriality and reproductive behaviour of Meller’s duck Anas melleri. 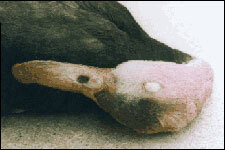 Dodo, Jersey Wildlife Preservation Trust 31, 82-94. - . 1996. 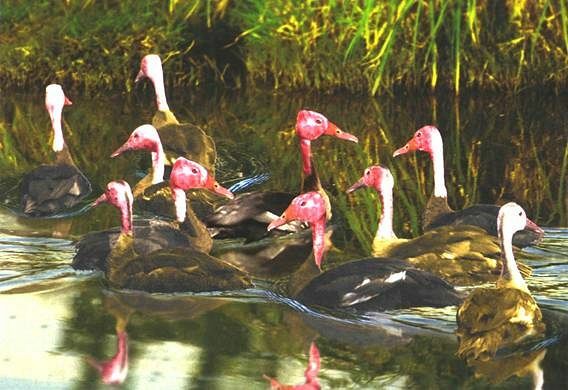 The distribution and origins of wildfowl (Anatidae) of Western Indian Ocean Islands. Biogéographie de Madagascar 1996, 363-367. - . 1999. Comparative study of the courtship displays of Meller’s duck Anas melleri, Yellowbilled duck A. undulata and Northern mallard A. platyrhynchos. Ostrich 70, 117-122. - . 2005. African comb duck Sarkidiornis melanotos. In Kear, J. & Hulme, M. (eds) Bird Families of the World: Ducks, Geese and Swans. Vol. II. Oxford University Press, pp. 391-393. - . 2005. Crested duck Lophonetta specularioides. In Kear, J. & Hulme, M. (eds) Bird Families of the World: Ducks, Geese and Swans. Vol. II. Oxford University Press, pp. 484-486. - . 2005. Cape teal Anas capensis. In Kear, J. & Hulme, M. (eds) Bird Families of the World: Ducks, Geese and Swans. Vol. II. Oxford University Press, pp. 488-490. - . 2005. Northern mallard Anas platyrhynchos. In Kear, J. & Hulme, M. (eds) Bird Families of the World: Ducks, Geese and Swans. Vol. II. Oxford University Press, pp. 513-517. - . 2005. Mexican duck Anas diazi. In Kear, J. & Hulme, M. (eds) Bird Families of the World: Ducks, Geese and Swans. Vol. II. Oxford University Press, pp. 521-523. - . 2005. Meller’s duck Anas melleri. In Kear, J. & Hulme, M. (eds) Bird Families of the World: Ducks, Geese and Swans. Vol. II. Oxford University Press, pp. 543-545. - . 2005. Cape shoveler Anas smithii. In Kear, J. & Hulme, M. (eds) Bird Families of the World: Ducks, Geese and Swans. Vol. II. Oxford University Press, pp. 553-555. - . 2005. Madagascar teal Anas bernieri. In Kear, J. & Hulme, M. (eds) Bird Families of the World: Ducks, Geese and Swans. Vol. II. Oxford University Press, pp. 564-567. - . 2005. Red-billed pintail Anas erythrorhyncha. In Kear, J. & Hulme, M. (eds) Bird Families of the World: Ducks, Geese and Swans. Vol. II. Oxford University Press, pp. 588-590. - . 2005. Brown pintail Anas georgica spinicauda. In Kear, J. & Hulme, M. (eds) Bird Families of the World: Ducks, Geese and Swans. Vol. II. Oxford University Press, pp. 593-595. - . 2005. Hottentot teal Anas hottentota. In Kear, J. & Hulme, M. (eds) Bird Families of the World: Ducks, Geese and Swans. Vol. II. Oxford University Press, pp. 619-621. - . 2005. Madagascar pochard Aythya innotata. In Kear, J. & Hulme, M. (eds) Bird Families of the World: Ducks, Geese and Swans. Vol. II. Oxford University Press, pp. 657-658. - . & Brayshaw, M. 2004. The downy young of grey teal (Anatidae) with first descriptions of the ducklings of Madagascar teal Anas bernieri and Indonesian teal A. gibberifrons. Bulletin of the British Ornithologists’ Club 124, 62-68. - . & Kear, J. 2005. Long-tailed duck Clangula hyemalis. In Kear, J. & Hulme, M. (eds) Bird Families of the World: Ducks, Geese and Swans. Vol. II. Oxford University Press, pp. 723-726. - . & Kear, J. 2006. The rise and fall of wildfowl of the western Indian Ocean and Australasia. Bulletin of the British Ornithologists’ Club 126A, 25-39. - ., Lewis, R. E. & Razafindrajao, F. 2001. A description of the nests and eggs of the Madagascar teal Anas bernieri. Bulletin of the British Ornithologists’ Club 121, 64-67. - . & Rhymer, J. M. 1998. Meller’s duck: a threatened species receives recognition at last. Biodiversity and Conservation 7, 1313-1323. - ., Safford, R., Green, A., Ravonjiarisoa, P. & Rabarisoa, R. G. M. 1993. Survey and capture of the Madagascar teal Anas bernieri at Lac Bemamba Madagascar July-August 1992, July 1993. Dodo, Jersey Wildlife Preservation Trust 29, 77-94. - ., Sorenson, M. D. & Johnson, K. P. 1997. A description of the Madagascar teal Anas bernieri and an examination of its relationships with the Grey teal A. gracilis. Wildfowl 48, 174-180. I haven't checked your original citations to check who said Alaotra is in north-west Madagascar. Obviously it should be cited as east or central eastern Madagascar. Remember that the job is only half finished. 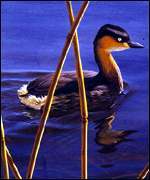 The Alaotra grebe now has to be 'rediscovered'. Response to Richard: so far as I recall, the description of Lake Alaotra is a gaff, resulting from my glancing at a map and saying "Yup, that looks like it's in the north-west". I'll correct it, thanks.